FERRARO, Geraldine Anne, a Representative from New York; born in Newburgh, Orange County, N.Y., August 26, 1935; graduated from Marymount School, Tarrytown, N.Y., 1952; B.A., Marymount College, New York, N.Y., 1956; J.D., Fordham University School of Law, New York, N.Y., 1960; lawyer, private practice; assistant district attorney, Queens County, N.Y., 1974-1978; elected as a Democrat to the Ninety-sixth and to the two succeeding Congresses (January 3, 1979-January 3, 1985); was not a candidate for reelection to the Ninety-ninth Congress in 1984, but was the unsuccessful Democratic candidate for Vice President of the United States; fellow of the Institute of Politics, John F. Kennedy School of Government, Harvard University, Cambridge, Mass., 1988-1992; president, International Institute for Women's Political Leadership; unsuccessful candidate for nomination to the United States Senate in 1992 and 1998; permanent member, United Nations Commission on Human Rights, 1993-1996; died on March 26, 2011, in Boston, Mass. 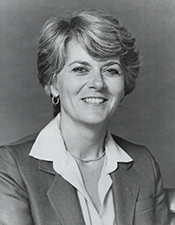 Geraldine Anne Ferraro in Women in Congress, 1917-2006. Prepared under the direction of the Committee on House Administration by the Office of History & Preservation, U.S. House of Representatives. Washington: Government Printing Office, 2006.